World Cup corporate hospitality bookings for South Africa are in line with expectations, say UK agents, despite Fifa concerns over slow sales. 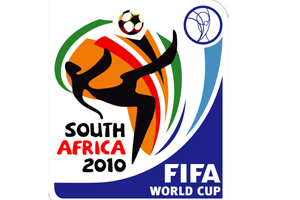 UK agencies offering corporate hospitality packages for the 2010 Fifa World Cup in South Africa told C&IT that bookings were rising as expected, despite a statement from Fifa voicing concern that the 308,000 match-day seats allocated to corporate guests may not be filled. Keith Prowse marketing manager Ted Walker said: "The World Cup is the biggest sporting event of 2010 and there are lots of enquiries but clients are waiting before booking. Late bookings have been a trend across the industry for some time now so it's not surprising. "Perhaps corporate sales are not where they were at the same time four years ago, when the World Cup was in Germany. But that is what we expected, given the worldwide downturn and the fact that the UK and US are the biggest markets - and South Africa is significantly further away from them than Germany was." Sportsworld chief executive Chad Lion-Cachet said: "From a corporate hospitality point of view we are not disappointed at all. A lot of UK clients who were considering packages before the draw for the group stages have now booked. What's interesting is that they have booked packages for the later stages of the tournament - the quarter-finals and semi-finals - so there's clearly aniticipation that England will do well. "I think we'll see trading continuing throughout the first quarter of 2010. January, February and March are the months when we expect to conclude most of the sales."